Wrapping up 2017 with a growing catalog, Jahmiel delivered a solid body of work, which resulted in him being billed for some upcoming major festivals in Europe and Africa where he will perform for the first time. Jahmiel, who is currently getting ready for his first U.S. tour, Strongest Soldier, is set to hit 15 cities over a 3-week time frame. The trek will take Jahmiel across some major US cities including Arizona, Kansas City, Oakland, Los Angeles, Minneapolis, Raleigh and Charlotte just to name a few. At the end of the US leg he will have little down time before he packs his bags and heads to Africa for the first time in his career. He has a highly anticipated performance at The Independence Stadium in Bakau, Gambia. The trip to Gambia, will also give Jahmiel an opportunity to partake in some charitable work as well as connect with some of the youths who his songs has resonate with. “Definitely pleased at the direction my career is going and the ability to show growth over the past two years. Going to Gambia is definitely something I have been looking forward to since we received the call last year and looking forward to delivering and greeting my fans” Jahmiel told Dancehall HipHop. On January 13th Jahmiel will perform on the 25th anniversary of Rebel Salute, a show he says that he is looking forward to performing on since this will be the first time he is returning to the annual event since Mavado first introduced him a few years ago. The “Heaven” singer has had a phenomenal year last year with a slew of hits and some well received performances on some big shows. This year, he is certainly looking to repeat that success and broaden his international appeal. Stay tuned for more tour dates to be announced by his team later this month. Shaggy and Friends saw a strong turnout from patrons on Saturday as the festival raises millions of dollars for kids. The addition of several international acts to the lineup this year help drew more attention to the cause. Since it’s inception in 2009, Shaggy and Friends saw one of its biggest turnouts last night. The show’s organizers say they are currently doing the tally and will announce in a press conference just how much people were in attendance and how much funds were raised. Artists like Wyclef Jean, Sting, and Doug E. Fresh all traveled from overseas to perform for the cause and let’s be clear, artists were not paid to perform, they all did it for free. The proceeds from the music festival will go towards the Bustamante Hospital for Children, which is the only children’s hospital in Jamaica serving kids from all over the Caribbean. Since 2009, Shaggy’s Make A Difference Foundation has raised over US$1.5 million for the hospital which has been used to expand the facility and purchase needed medical equipment. Co-producer of the event, Rebecca Packer-Burrel, who is Shaggy’s wife, says they are aiming to raise US$1 million from this year’s show which will be used to expand the ICU section of the hospital. Shaggy noted that their plans could be hampered by land space so he is issuing a plea to the Jamaica Defense Force who owns a large parcel of land where the hospital is located to donate one acre. The dancehall legend says that the ICU only has five beds and is desperately in need of more space to serve the demand. Local artists like Ding Dong, Shenseea, Dexta Daps, and Aidonia all delivered solid sets. 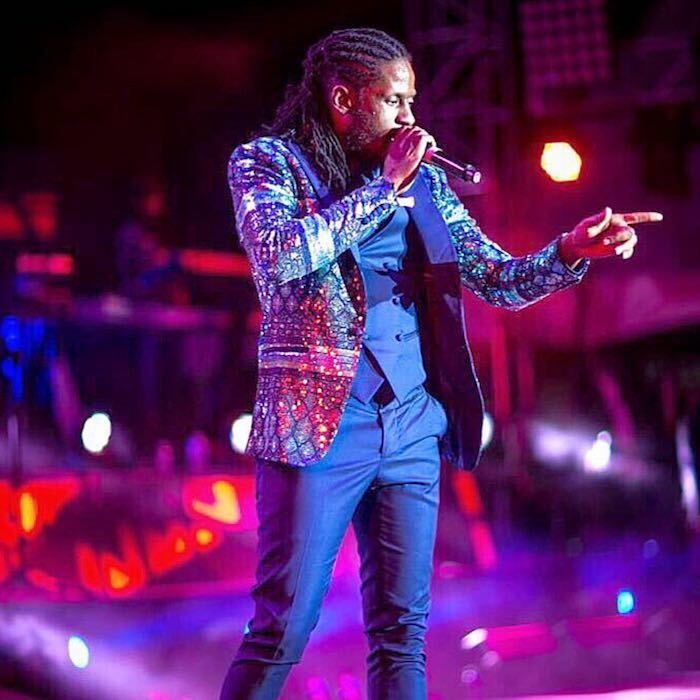 Watch a segment of Aidonia’s performance below. Khago just elevate his beef with Sizzla to a whole new level. The dancehall deejay posted a video on social media this week going in on the reggae icon over an old feud. Over the past two weeks we’ve seen Sizzla taking on LA Lewis and even sending his goons after the self-proclaimed 7-Star general. Lewis has since been pleading with Kalonji to called off his men and even suggested that a hit is out for his head and his kids are getting caught up in the melee. Khago, on the other hand, is taking matters into his own hands and issued a threat to box Sizzla and didn’t mince words when he told the icon to do all sort of things to his mother. According to Khago, his beef with Kalonji stemmed from a female from Mandeville that he used to date. He revealed in his rant that Sizzla dated the same female before he hooked up with her and that’s what started their old feud from 2012. The “Nah Sell Out” deejay is now living in the US so he will likely not received the same level of physical harassment as LA Lewis, but we’re told that Sizzla has goons all over the place and they have their eyes on Khago. Chris Brown may not be the biggest selling artist this year but he is certainly the artist with the most RIAA plaques. The R&B crooner received a whopping 40 certifications in 2017 from the Recording Industry Association of America, RIAA. 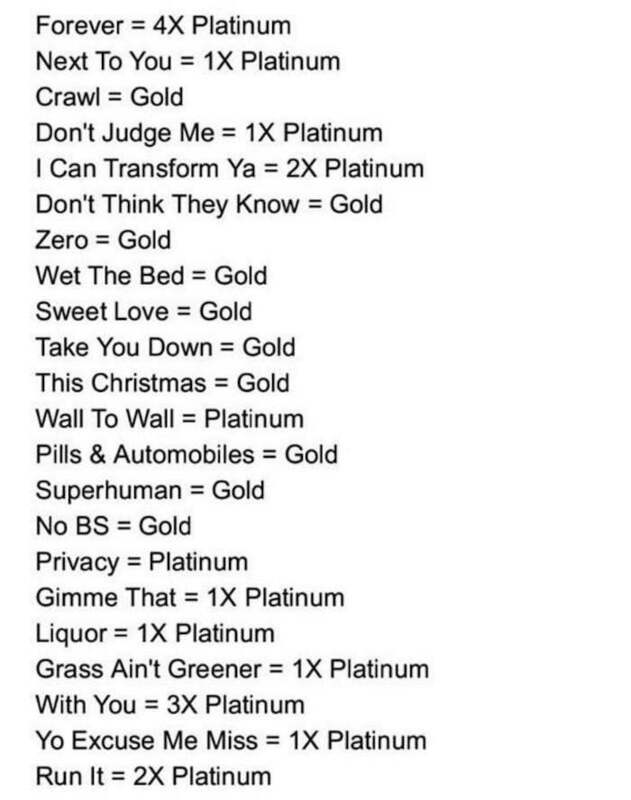 The certifications and a mixture of gold and platinum plaques for some of his older music that were suppose to get certification but never did for some weird reasons. Among the plaques he received is one for a single that was certified 12 times platinum. Chris Brown thanks his fans on Twitter for their support in making this happen and now he is on his way to being one of the greatest R&B artists of all-time. “40 PLAQUES THIS YEAR! Today the RIAA released 23 more certified platinum and gold plaques that included 12 x multi platinum singles. 74.5 million single and album sales just in the US. #TEAMBREEZY,” Brown tweeted. On November 22, Chris Brown received 22 certifications from the RIAA including a four times platinum plaque for his single “Forever,” while his single “With You” gets a three times platinum certification. Two of his songs “Run It” and “I Can Transform Ya” received double platinum status while seven songs, “Next to You,” “Don’t Judge Me,” “Gimme That,” “Liquor,” “Grass Ain’t Greener,” “Wall To Wall,” and “Yo Excuse Me Miss,” all received one time platinum status. On top of that, he received ten gold certified songs. Chris Brown is still putting out a ton of new music and scoring a lot of hits. His new album, Heartbreak on a Full Moon was released with 45 songs with majority of them being new music. The project debut at No. 3 on the Billboard 200 chart and is currently at No. 11. The album has since been certified gold by the RIAA and is on its way to getting platinum status possibly before the year ends. You gripped my hips so tight now? "Slow up the pace, maybe erase, don’t…"
"Forgive and won’t erase the bitter past"
Work hard fi di glory, mi do wha’ mi feel like, feel like!